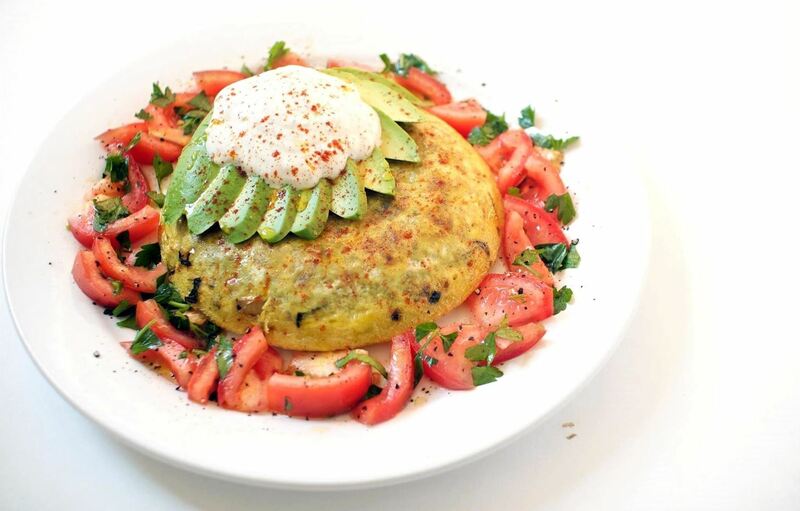 A carefully constructed frittata is one of the culinary world's perfect wonders. It's inexpensive to create, can be made with all sorts of leftovers, and is outstanding to eat for breakfast, lunch, or dinner. However, frittatas can go downhill fast and come out spongy, tasteless, dry, and over-done. Luckily, we've rounded up five key factors to making that perfect Italian egg-filled wonder really shine. 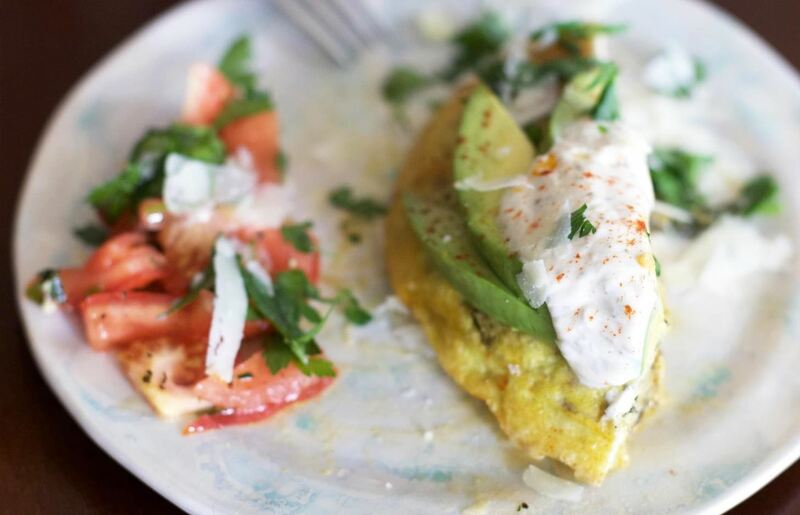 Read on to see what you need to do for frittata perfection. Full-fat dairy is crucial in a frittata. Fat-free milk and cheese will leave your dish feeling as lifeless as it sounds and give your eggs nothing to make them firmer and richer. So opt for whole milk, as fat-free is no different than just adding water. The same holds true for cheese: whole-milk options will leave your frittata tasting creamier and richer, and will make it hold together better. But think before you cheese. If you want a frittata that oozes cheese from every bite, pick a cheese that melts (like mozzarella or cheddar). Parmigiano-Reggiano is one of our favorite additions; we put it on the top of our eggs at the very end of our frittata-making, as it's hard, sharp, and provides a great finish. Likewise, don't be afraid to finish your frittata with a dollop of sour cream or Greek yogurt once it has cooled a bit. 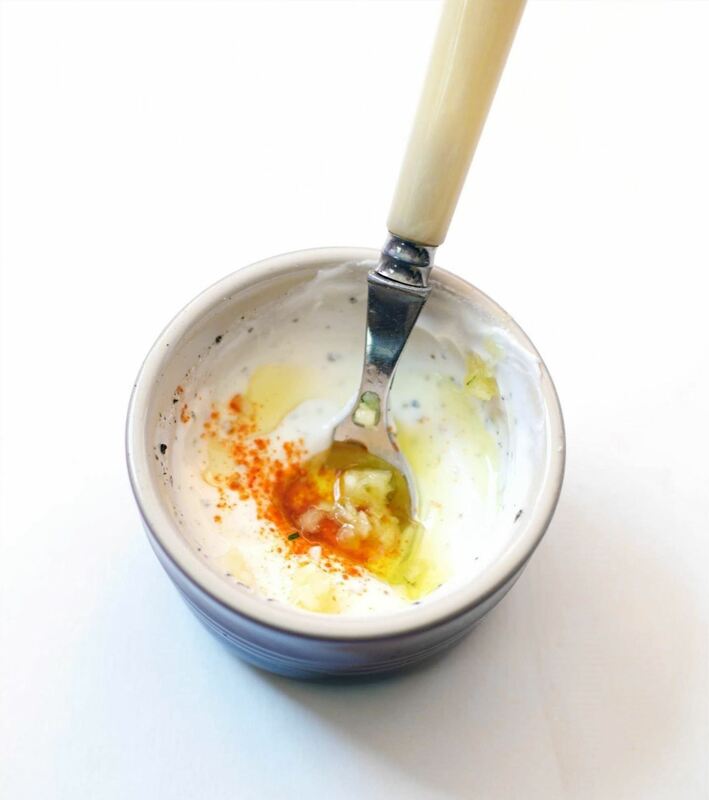 We often mix plain Greek yogurt with a bit of apple cider vinegar and some cayenne pepper for a bit of a bite. There's certainly an art to the baking of frittatas. First off, be meticulous when picking your pan of action. Like Rochelle Billow of Bon Appétit, we gravitate towards a well-seasoned, cast iron skillet to combat crusty eggs forming at the sides of the pan. And size does matter when it comes to pans and frittatas: a 12-egg frittata is typically cooked in a 10-inch pan, so scale accordingly. If you make a smaller frittata in a larger pan, it will be thinner and will cook more quickly. 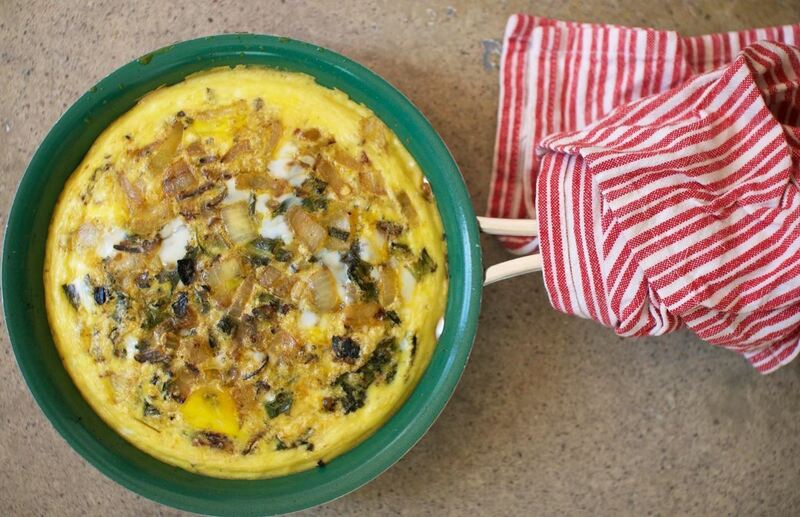 We also love using ceramic pans with eggs (like the green one pictured below). You'll want the pan you choose to be oven-safe and retain heat well. Your frittata will continue to cook even after you remove it from the oven, so take it out before it's finished fully cooking. If you overcook your frittata, it will have a sponge-like texture that will have you wanting to clean your dishes with it rather than eating it for breakfast. Although a golden-brown top looks nice when you take it out of the oven, this sort of top coloration also hints that the inside will be overdone. The inside should be custard-like and wobbly. Remember, it will continue to cook! A good rule of thumb is to cook your frittata on 350°F for between 20 to 30 minutes. It's a good idea to sauté raw foods and wet ingredients before placing them in your frittata. Frittatas are wonderful when you have a lot of leftovers in the fridge, like already-cooked sausage, asparagus, or potatoes. But if you're starting from scratch with these items, cook them before adding them to the beaten eggs. Fresh ingredients like mushrooms and tomatoes are wet, which will cause them to release moisture into your eggs. They need to be pre-sautéd before inclusion in your frittata. Chorizo, smoked salmon, ham—pretty much any protein—can be added to your frittata as long as you make sure it is cooked and/or heated a bit before going in the mix. You'll want your salt and pepper to permeate the eggs in your frittata, which means adding them to your egg mixture before you put it in the pan. Give your eggs a good mix and make sure to take note of the saltiness and spiciness of added-in, leftover ingredients (for example, salty bacon or ham or already-spicy leftover vegetables) to inform how much seasoning you add. Fresh herbs can be an aromatic and mouthwatering addition to your dish, too. Try rosemary, basil, or parsley to add a fresh note of flavor. 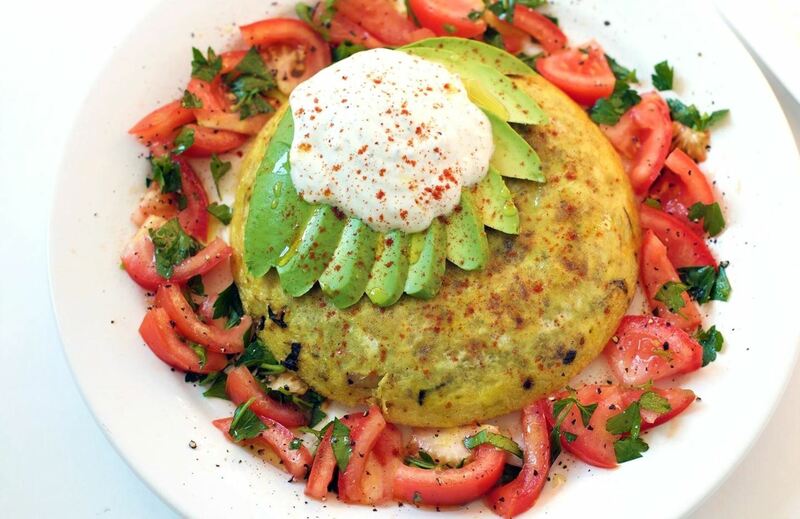 You can even go for a Mexican frittata made with black beans, chorizo, tomatoes, avocado, and cilantro. We sauté our fresh herbs with the rest of our ingredients before baking our frittata, then top it with even more fresh herbs once it's done. And finally, the egg-to-dairy ratio! This is the most crucial part of making a frittata, we think—it's why we saved the best for last. This ratio is simple and foolproof: for every dozen eggs, you need a half-cup of dairy. As we already shared, without the dairy the eggs won't be creamy; with too much dairy, they'll be loose and watery. If you keep the ratio in mind, you can make a smaller frittata or a larger one with one simple conversion. Yes, it's math... but it's not that hard. Frittatas are a wonderful, inexpensive item to cook for a crowd or family. They always feel special to us and couldn't be easier to throw together once you nail down a few tips and tricks. Have any favorite ingredients you like to add to your frittata? Feel free to share it with us in the comments below.